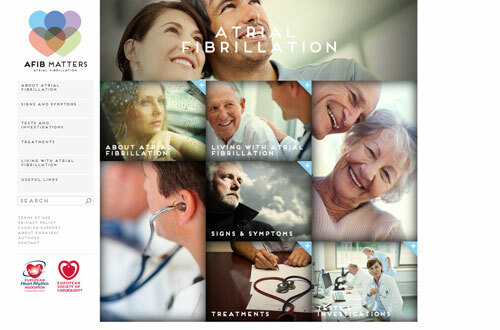 The European Society of Cardiology (ESC) has launched an atrial fibrillation (AF) patient website in collaboration with the European Heart Rhythm Association (EHRA). AFib Matters was created by a multidisciplinary task force of clinicians and patient representatives, in order to provide information about the heart condition; detailing the different types of AF, its causes, the symptoms and treatment options. The University of Birmingham's professor Gregory YH Lip, who chaired the development of the project, said: “It is the authoritative website on atrial fibrillation and will be updated at regular intervals with relevant and timely information. “The website also highlights the latest developments in the treatment and management of atrial fibrillation, including the new oral anticoagulant drugs, ablation and devices. As the most common cardiac rhythm disorder, AF affects more than six million people across Europe and this figure expected to double over the next 50 years as the population ages. People with the condition have an increased risk of stroke, heart failure and impaired cognitive function, including dementia. The website goes live this week to coincide with the EHRA's biannual Europace meeting, which is currently taking place in Greece.